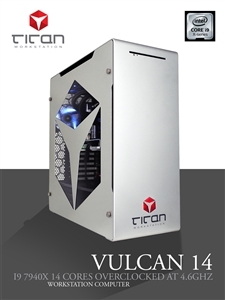 No, we didn’t name the Vulcan 14 after the alien race from Star Trek, but it is only logical that you stop and consider this powerhouse, overclocked professional workstation. Built around a formidable 14-core Skylake-X CPU, this is a machine designed to be taken seriously while delivering above and beyond the specifications on the box. Just because budgets are tight doesn’t mean you have to sacrifice solid performance! WIth the Titan C161 we’ve gone back to basics, stripped away the fat and put everything into building a fundamentally fast computer for every-day professionals in a variety of fields. Especially CAD applications. 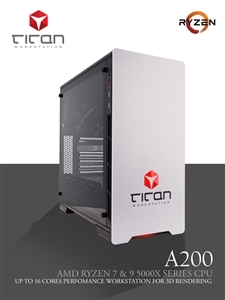 This is one of our most impressive entry-level workstations and possibly your next workhorse!